Quick question: Why is it offensive to say that homosexuality is wrong, yet not offensive to advocate that homosexuality is normal? Muslims, Christians, African-Americans, Hispanics/Latinos and Asians are all offended by homosexuality to one degree or another, yet that’s not what is reflected in the mainstream Leftist media. What we hear on any given day is homophobe this and homophobe that. The fact is that 100% of my day revolves around living my life and making sure that my kids are in good hands at all times; that they are well taken care of and are taught to respect others. We are Christians and are not accustomed to turning people away who are in need. However, although we will not turn away someone in need who happens to be homosexual, that doesn’t change the fact that we do not agree with that lifestyle and will tell them so. And while I will never tell someone that they can’t provide for themselves, I would expect the same courtesy when I am trying to provide for myself and my family. Leftist radicals, on the other hand, spend every waking moment of their lives plotting how they can upset others and bullying others into accepting an immoral doctrine that is aimed at “teaching people a lesson” (“people” being Christians). If I own a bakery (to use an overused comparison) and I choose to serve everyone, except when someone is asking for a specific pastry that offends me and my religion, why am I expected to make a compromise of my values and faith, while the same standard is not applied to a Muslim bakery? If a gay man owns a bakery and I entered and asked to have a cake baked with the icing caption “Homosexuality is a sin!” and he refuses, would he not be defended by everyone on the Left. Would I not be demonized for my insensitivity and cruelty? (By the way, I would never ask for a cake like that…that’s silly). The double standard that’s applied to these situations is mind-numbing and infuriating because it never seems to end. No one is afraid that a Christian might suddenly pop off and strap an explosive device to his body and detonate himself in a crowded mall. Equally, no one fears that a Christian might lose it and behead a bunch of non-believers. It is for that exact reason that so many have decided that Christians are a target. There’s no fear of retaliation. Take the Charlie Hebdo cartoon depiction of Muhammad. That magazine staff…writers, editors, artists, etc., suffered just because they broke the law in Paris, France…not French law, but Sharia law. The two brothers walked into the office building where the magazine was set up and proceeded to shoot and kill 12 people there and in several more locations around Paris over the next three days. Have you ever heard of a Christian going on a killing spree because somebody took the Lord’s name in vain? Leftist radicals spend every waking moment of their lives plotting how they can upset others and bullying others into accepting an immoral doctrine that is aimed at “teaching people a lesson” (“people” being Christians). A school in Alberta, Canada, has suddenly come under fire for its use of scripture in descriptions of its facility’s prospectus. 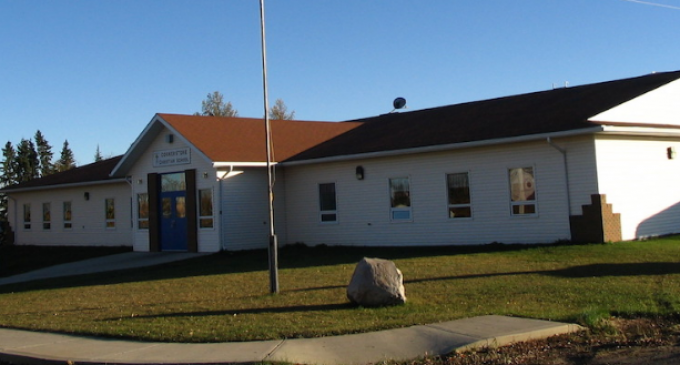 Read on about this unfortunate attempt by the Canadian school board to bully yet another Christian organization into complying with a mainstream ideal or face closure. The Bible will not change. God has given us the bible & expects us to heed his words. Homosexuals are evil. Christians stand your ground! ! !